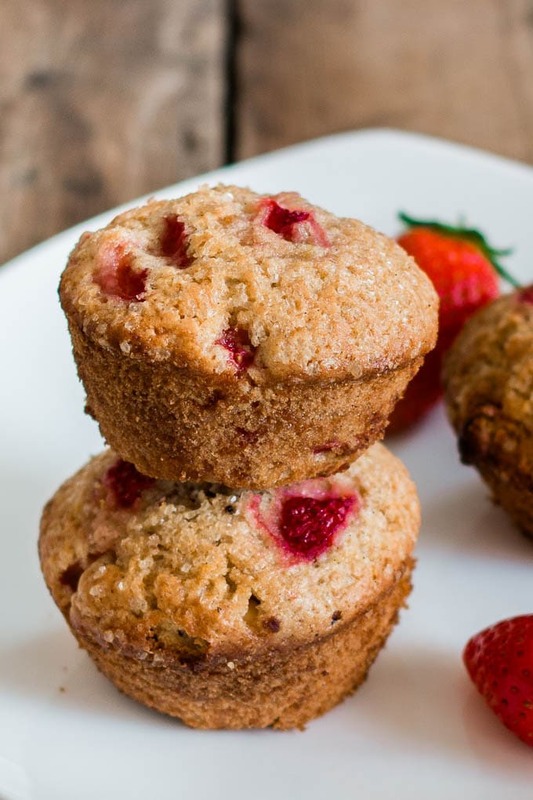 The Ultimate Strawberry Muffins Recipe | Pretty. Simple. Sweet. These are my favorite strawberry muffins. 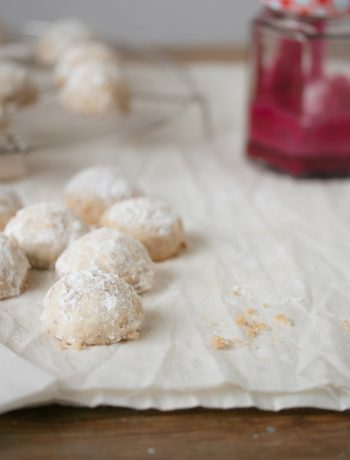 They are moist with a hint of citrus and are naturally sweetened by fresh strawberries. 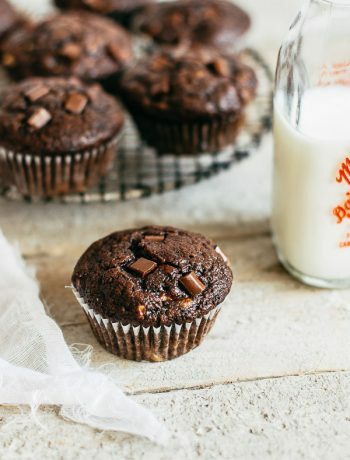 These muffins make a wonderful breakfast treat or snack. They are super moist and flavorful. The strawberries add lots of natural sweetness, so I don’t use a lot of sugar in my recipe. A touch of lemon/orange zest adds a refreshing flavor, but you can leave it out if you prefer. If you want more citrus flavor, replace 1/4 cup of the sour cream/yogurt with 1/4 cup orange juice. To make these muffins healthier, you can use half all-purpose flour and half white whole-wheat flour. To make the muffins, start by mixing the granulated sugar with the lemon and orange zest. Combining the two first instead of just mixing them with all the other ingredients really brings out the citrus flavor. In a bowl, mix all the dry ingredients, including the sugar mixture. In another bowl mix all the wet ingredients. Pour the wet ingredients into the dry ingredients and mix with a wooden spoon or a rubber spatula. Number one rule in muffins making is to not to overmix the batter. The more you mix, the heavier and tougher the muffins will be. The mixture should be quite thick and lumpy. Mix just until all combined, then fold in the strawberries gently. The first time I made these muffins I made them just the way the recipe below suggests and it was fabulous. The strawberries are the dominant flavor, which is a good thing. The second time I made them, I replaced some of the yogurt/sour cream with orange juice and added 1/3 cup of white chocolate chips. It was worth every calorie. If you like chocolate, add your favorite chocolate chips. Either white or dark chocolate works great here. Preheat oven to 375F/190C degrees. Grease 12 muffin cups or line them with liner papers. In a small bowl mix sugar with the lemon/orange zest. In a large bowl sift together flour, baking powder, baking soda, and salt. Stir in the sugar mixture. In a medium bowl, whisk the egg with the yogurt/sour cream, oil/butter, and vanilla extract. Pour the wet ingredients into the dry ingredients and fold with a wooden spoon or a rubber spatula just until combined. Do not overmix. Gently fold in the diced strawberries. Divide the batter among the muffin cups. Bake for 15-20 minutes until a toothpick inserted into the center of the muffin comes out clean. Allow to cool for 5 minutes in the pan, then transfer to a wire rack to cool completely. Muffins are best the same day they are made, but can be stored in the fridge, in an airtight container, for up to 3 days. They can also be frozen for up to 2 months. אני מתה על תותים וכל עוד יש טריים (ויש לנו השנה יופי של תותים|) כדאי לנצל אותם גם לאפיה. These are some beautiful and healthy muffins. Perfect for any time of the day. Yum! Now this is the kind of breakfast that would be able to entice me to get out of bed on these rainy, dreary mornings we’ve been having lately! I can’t even begin to describe how many compliments I got for these muffins. Thank you Shiran! I made these muffins last night. I love the contrast of the lemon with the strawberry. I didn’t notice buttermilk or any type of liquid in the recipe, though you talk about buttermilk prior to offering the recipe. They turned out great, anyway!!! I plan on using the basic recipe and adding/experimenting with different types of fruit as well. Thank you, Danielle! Sorry for the confusion, it’s supposed to be yogurt/sour cream instead of buttermilk, thanks for pointing that out! 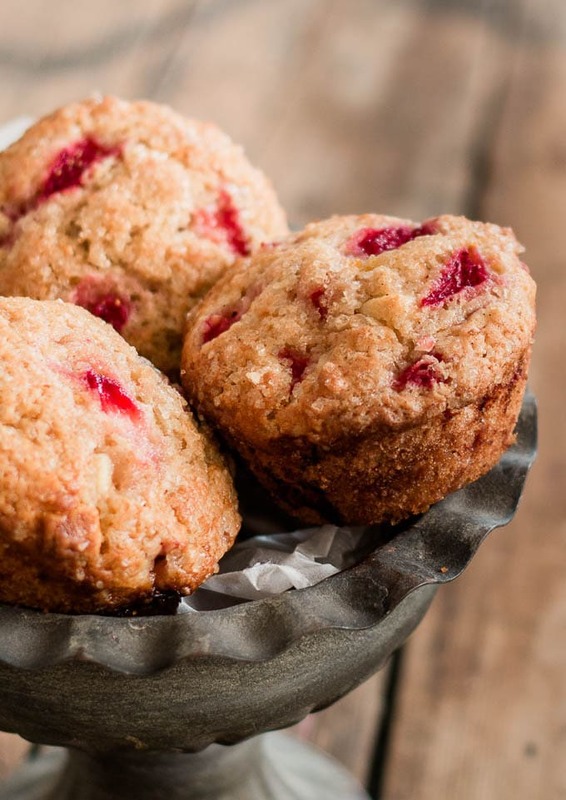 These strawberry muffins are spectacular! This is the best muffin I’ve ever made and my family is asking me to make more! Just made them for the family and they are really good. I added both lemon and orange zest and we loved it. Thank you. These muffins are fantastic! I did not have an orange or lemon to zest so I used a tsp of frozen orange juice concentrate right from the can to mix with the sugar. Perfect amount of orange flavor. My family loved these muffins. Thank you.